Blouse by Betty Barclay with 3/4-length sleeves. 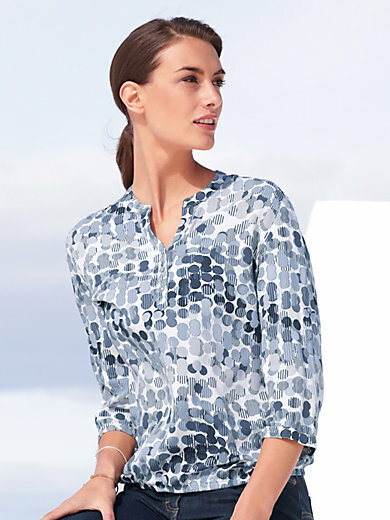 Dots in fashionable shades of blue create a smart and casual look on this easy to slip into blouse. Hem with an elasticated band for puffing up the garment, short button panel and sleeves with tab and button to roll up the sleeves. 100% viscose. Length approx. 25 ins. Machine washable.